An armoured truck is secretly transporting $100 million for a US bank when it is hijacked by a band of robbers calling themselves the ‘Ronin Gang’. The gang blows up the truck and makes off with all the cash. Three detectives, led by Chan Chun (Nicholas Tse), are assigned to stop the ruthless gang from any more robberies but at what cost. 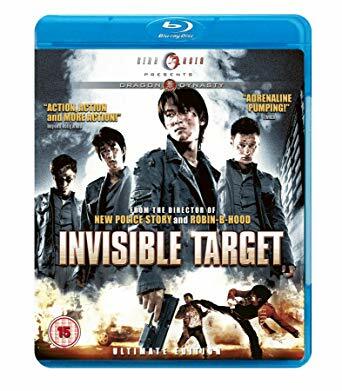 An excellent action thriller Invisible Target reminded me of the heyday of Hong Kong cinema, lots of bone-crunching action and fights as well as a coherent story to go with the mayhem. Nicolas Tse is becoming one of the new action stars of recent years and he obviously has been training heavily for his action roles. He has great support from Shawn Yue and a certain Jaycee Chan, son of Jackie, in his first major action role and he does very well and does not seem afraid to get down and dirty when it comes to the stunts. 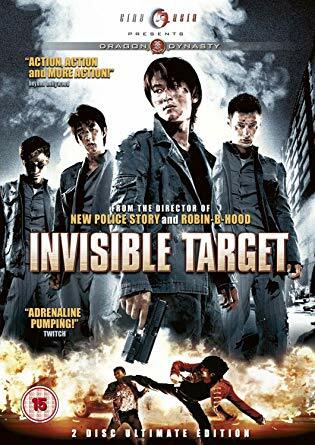 Directed by Benny Chan Invisible Target has a lot going for it with Hong Kong locations used well and still takes time to develop his characters. From the get-go the action is full-on and this gets my recommendation as one to seek out if you missed it on its initial release. 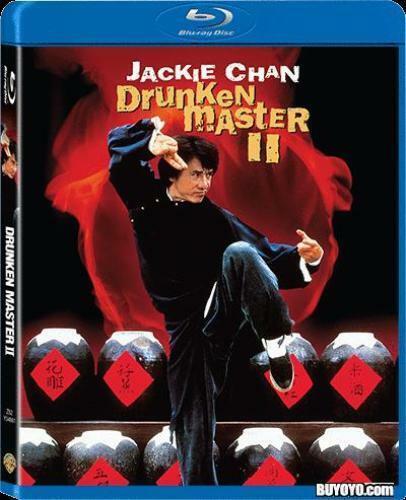 The Blu-ray releases from Universe Laser in Hong Kong and Cine Asia in the UK are excellent and both are region free so will play on any machine in any location. Picture quality is what you would expect from a modern release with sharp detail 1080p transfer with little trace of grain or edge enhancement. Sound too is state of the art with Cantonese DTS HD master audio and the surround track is very well used. The 2 Disc SE DVD is also recommended if you don’t have Blu Ray capability. A very enjoyable action thriller with some excellent stunts and fights.